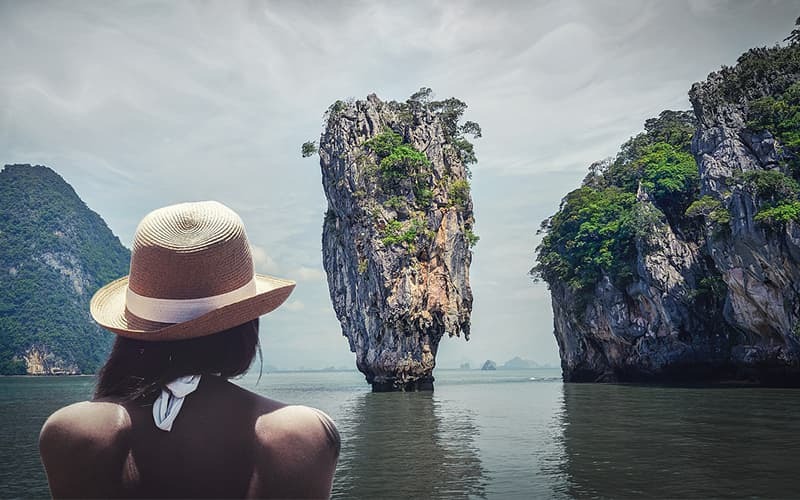 James Bond Island, also known as Koh Tapu or Khao Tapu, is a famous island present in Thailand in Phang Nga Bay in the northeast of Phuket. Although the primary reason of the fame associated with this island is its presence in one of James bonds movie “The Man with the Golden Gun”. However, the island was originally famous for its 20-meter tall vertical rocks that emerge from the beautiful emerald green water. Koh Tapu means “nail” or “spike” denoting to its appearance. Tourists are not allowed directly to go this island, as it has a greater chance of erosion. Although a good view can be still seen from boats or a nearby beach. The climate here is a tropical marine. It has recurrent rainy days which are estimated to be around 189 days out of 365 days. The weather is quite stable with moderate temperature and frequent rains. Most of the rainy season lies between May to October. The average temperature here is between 23 °C (73 °F) and 32 °C (90 °F with relative humidity of 83%. 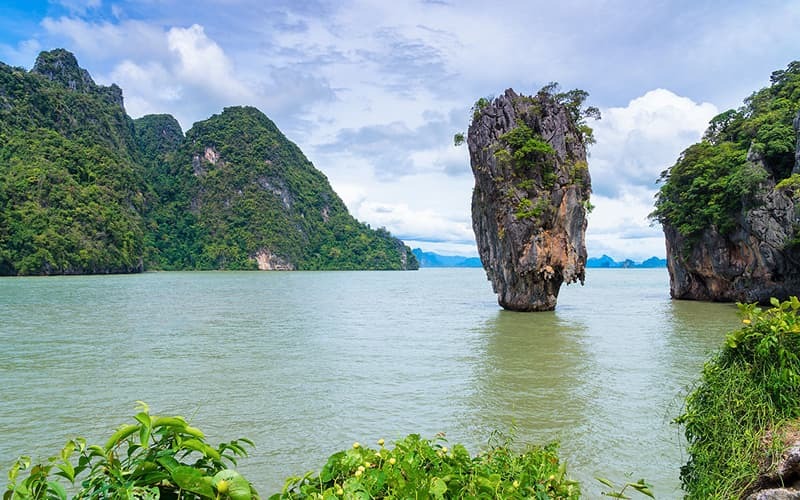 Phang Nga Bay is a large space around 400 sq km and accommodates up to 100 islands which are all equally unique and famous for either their aesthetic appearance or due to their weirdly formed shapes. Many of these islands are named in Guinness Book of records and are wonderful sites to visit. One of the most famous places which have been a major tourist attraction is James Bond Island. Ever since it's featuring in James bond movie in 1974, it has become a popular site. It has a rocky pinnacle which is one of the greatest features of this island. The island is geographically a bit dangerous and since it is under national park protection, people are forbidden to go close to it and hence you will notice that there are no boats allowed to sail to this island. The island is huge at the top and comparatively thinner on the lower side, therefore, it is usually unsafe to visit or stay at such places. However, to have a proper look of James Bond Island, you can use small boats that sail nearby to this island. Koh Ping Ghan is a breathtaking site to visit, it has multiple caves present inside a high leaning rock. Each cave is deep enough, and you can check them all out if you wish to explore them. Another great thing about this place are the ornaments that are sold here, they are usually made from woods and shells. During your tour to Phang Nga Bay, you might be taken to a nearby village called Ko Panyi, which is built on stilts. The village constitutes of mosque and graveyard that are only places that are built on the ground. People love staying here since the locals are really welcoming here and the environment of the village is quite engaging. Some might prefer to stay overnight here which is actually a good idea because by the evening, village life turn to normal and you can have more experience and interaction with villagers and get to know more about their culture and how they carry out normal daily routines. If you are planning to visit this place, it is better to have some idea about the people living there. Most of the people there belong to Malay origin. People prefer fishing as their profession hence most of the workers do their labor outdoors. You can also roam around the village and eat at different stalls present throughout the area. Many people living there come from the poorer region of Isaan. Apart from being popular due to movies, this place is also renowned for kayaking and sailing. People visiting James Bond Island are also taken to other nearby islands and historic places. The tour usually includes a stop at Koh Panyee- a Muslim fishing village, where local Muslims live their lives harvesting crops and welcoming tourist that comes to visit their place. This place is great for seafood. Everyone ghan to click pictures for memories and although companies provide you with a plastic bag for camera protection, it is highly recommended to bring your own waterproof camera case, just in case. 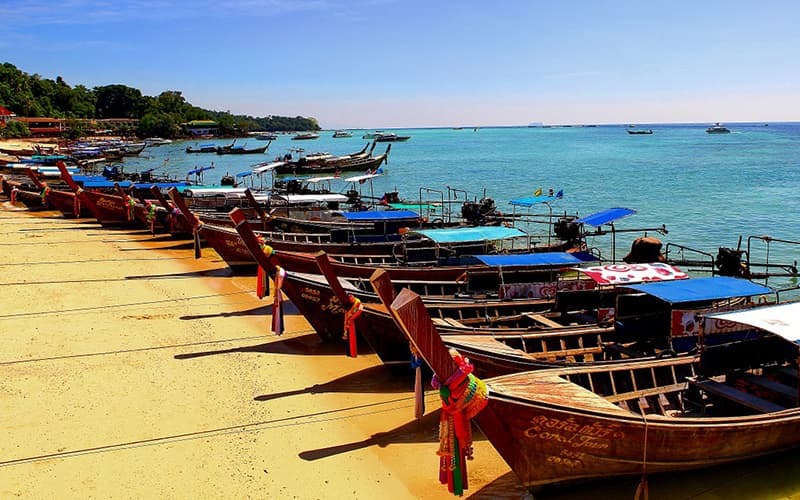 People who are more into adventures like to spend more time on the island can also book a long-tail boat for around 2,000 baht from Surakul Pier in Phan nga. The boat can be rented for three to four hours and can accommodate up to 10 people at a time.